Kourtney Kardashian returned back home to California on Monday after her long Italian getaway. She touched down into LAX with her three kids, Mason, 8, Penelope, 6, and Reign, 3. The 39-year-old reality star did not seem to mind the 90 degree heat in blue track pants paired with a neon orange long-sleeved Yeezy ‘Calabasas’ sweatshirt. She accessorized with a Prada belt bag (available at Saks Fifth Avenue) and Kanye West’s adidas Yeezy Boost 700 Wave Runner sneakers. 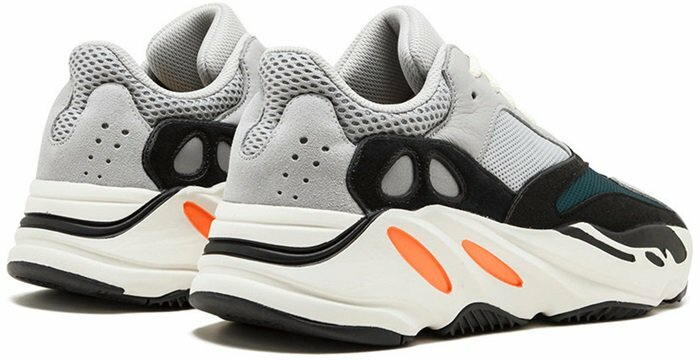 Kanye West introduced the adidas Yeezy Boost 700 Wave Runner in 2017. A love-it-or-hate-it shoe for many, this statement sneaker features a chunky sole and running inspired upper. 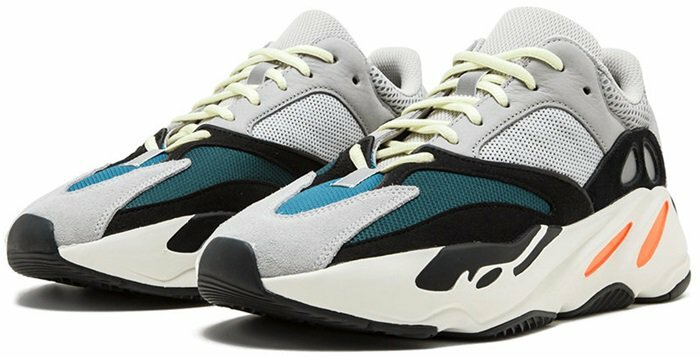 This debut colorway in grey with black, teal, and orange accents was released without any warning on Kanye’s YEEZY SUPPLY site. They sold out almost immediately. When shopping for Yeezy shoes online, make sure you know how to identify fakes!